MEXICO CITY, Sep 1 2015 (IPS) - With the effects of global warming becoming more and more visible and the complicated socio-economic decisions indispensable to address this planetary crisis, science needs a new breed of experts: social scientists who specialise in climate change. 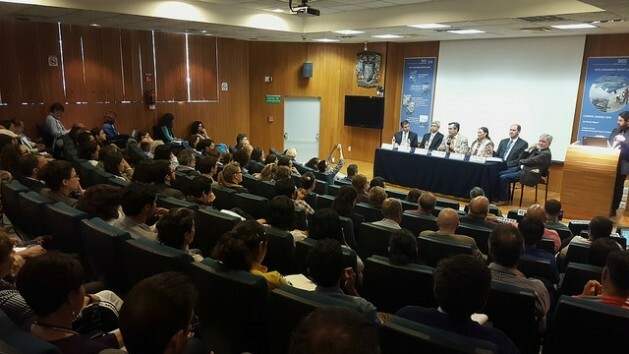 Meeting at the public National Autonomous University of Mexico (UNAM), in the capital, leading Latin American scientists called for the incorporation of more human climate science in research on global warming. “The solution to climate change is not in the hands of natural scientists. The solution will be in the hands of social scientists: politicians, political scientists, psychologists, sociologists or economists,” astro-geophysicist Carlos Gay, the head of UNAM’s Climate Change Research Programme, told IPS. During events held Aug. 26-27 events at the UNAM campus to discuss the Fifth Assessment Report (AR5) of the United Nations Intergovernmental Panel on Climate Change (IPCC), authors and editors of the document launched in 2014 talked about the state of climate science. Members of the three working groups that drew up the report particularly went into depth on the impact of climate change in Mexico and Central America, in the meeting that featured guests from countries in this area. The debates repeatedly came back to the need to incorporate more scientists able to interpret the complex social dynamics that must be resolved to address the issue of global warming and provide more human climate science in affected communities. But the Mexican expert acknowledged that this requires complex social and economic processes that fall outside their field. “The financial crisis and the climate crisis have the same origin: systems and markets and our vision of what progress is,” said Gay, who added that he would like to see more UNAM social scientists carrying out research in this field, which is so crucial to humanity. Frenzied consumption of fossil fuels, deforestation for land-use change and industrial agriculture have contributed to the excessive accumulation of greenhouse gases in the atmosphere and the oceans since the Industrial Revolution, and especially since the mid-20th century, the speakers pointed out. That is the central issue to be resolved in Paris by the countries that are party to the United Nations Framework Convention on Climate Change (UNFCCC) in the first two weeks of December, at the 21st Conference of the Parties (COP21). The climate summit is to approve a new binding international treaty on adaptation and mitigation of climate change, with the aim of limiting the rise in global temperatures to two degrees Celsius. The new agreement is to come into effect and be implemented from 2020. In recent years, the incorporation of social scientists in climate science has brought research closer to affected communities and populations, combining the abundant technical information from natural scientists with the social focus of other experts. “As the IPCC assessments have evolved, especially from the third one on, the number of specialists in these areas has risen,” Cuban economist Ramón Pichs-Madruga told IPS. The vice chair of the IPCC Working Group III, which assesses all relevant options for mitigating climate change, noted that these areas of knowledge help “complete the picture” in conjunction with the natural sciences. But he concurred with Gay that social scientists have largely kept their distance, as they are often wrapped up in their own fields of study and ignore the issue of climate change. Like Pichs-Madruga, others took up the challenge long ago, such as Mexican-U.S. sociologist Paty Romero, who for years have been looking for the human face of scientific research on climate change. “We social scientists say: be careful, it’s not only about calculating the probability of a category 5 hurricane hitting the (southeastern coastal) Mexican state of Tabasco, but also involves the fact that Tabasco is inhabited by people who can be affected,” Romero told IPS. Romero, who holds a doctoral degree in agricultural sciences and urban policies, forms part of the IPCC Working Group II, which analyses climate change impacts, adaptation and vulnerability. In the last IPCC assessment report, Working Group II focused even more closely on the complications that climate change could cause for people. From her experience working with communities in major Latin American and Asian cities, Romero stressed the importance of including in climate change management the traditional disaster risk management already being carried out in urban populations. The expert noted that Latin America’s geography and tectonic history and behavior have given rise to a general approach to disaster risk management, which can be key given the region’s particular vulnerability to climate change, which affects the present and the future of many of its people. “Climate change is not something that affects polar bears. It does affect them, but also affects many of the things we want, our territory and our identity, precisely because it is a problem of political, economic and social development,” said the scientist. For Mexico and Central America, understanding climate change as a social and economic phenomenon is crucial, since its location between two oceans and their dependence on agriculture makes them especially vulnerable to global warming. In addition, the large proportion of the population living in poverty – 46 percent in the case of Mexico case and 48 percent in the seven countries of Central America – is the most vulnerable and exposed to the effects of climate change. This is true because the poor usually live in areas particularly vulnerable to extreme weather effects, such as the slopes of mountains and along the coast. “Climate change is a multiplier of these threats. If we already have problems of poverty and access to water, climate change multiplies the risks”, said Mexican scientist Úrsula Oswald, a UNAM researcher and co-author of the IPCC. 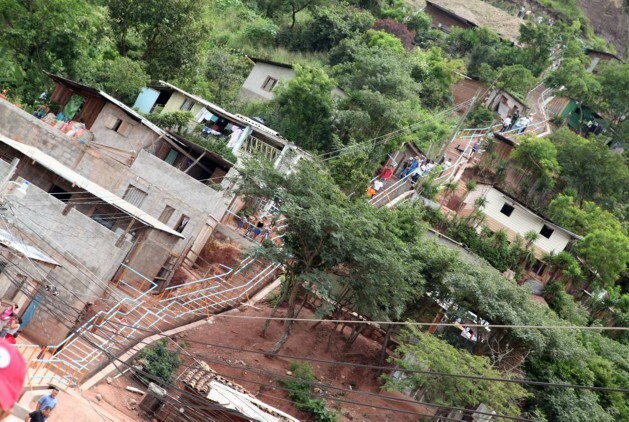 For Oswald, a key point for the management of adaptation to climate change is understanding the role of women as a social driver of their communities, something that she has seen in her home state of Morelos, in central Mexico. “Is is women who efficiently manage water, who have recovered the forest and rivers, who effectively manage their surroundings and are responsible for health and the community,” said Oswald.